The acclaimed group The THE BAND Band is the most musically satisfying tribute to The Band on the scene today. 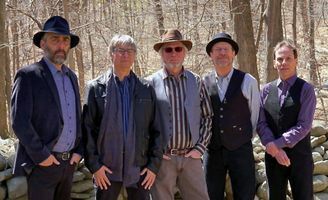 While The Band may be long gone from the stage, The THE BAND Band is keeping their sound and spirit alive and well with authentic, true-to-form renditions of their legendary repertoire. This group of veteran musicians showcases the astounding breadth and depth of The Band’s distinctively original Americana music with classics such as Up on Cripple Creek, The Weight and The Night They Drove Old Dixie Down, as well as deeper cuts from The Band’s vast catalog. The THE BAND Band brings the songs to life with the energy and excitement of The Bands legendary concerts, earning the praise of audiences and critics alike.